For more than 50 years, Harper Lee’s To Kill a Mockingbird has not only captivated audiences but transformed them. Now, a new book explores the novel’s lessons of spiritual truth. Last year one of the most memorable novels in American history reached an important milestone. Harper Lee’s To Kill a Mockingbird celebrated 50 years since publication, and next year marks 50 years for the equally iconic film version of Lee’s story. 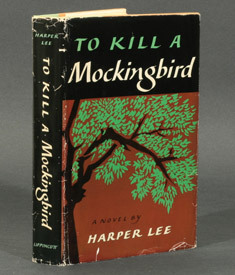 Many of us recognize To Kill a Mockingbird as one of the books on our required reading lists from high school. For others, it is one of their favorite classic movies, with Gregory Peck’s quiet strength as Southern lawyer Atticus Finch representing one of the all-time great screen portrayals. Either way, Lee’s Pulitzer Prize-winning novel imparts a story of great significance; its characters leave a lifelong impression on our consciences and hearts. We don’t just read or watch To Kill a Mockingbird; we experience it. Matt Litton understands this better than most. His latest book, The Mockingbird Parables: Transforming Lives Through the Power of Story, explores the insight and wisdom To Kill a Mockingbird offers those who venture into its pages. To Kill a Mockingbird is a great opportunity to see the world from a different perspective. Scout Finch is a compelling narrator and, in Litton’s opinion, adds to the relevance of the novel. For more information about Scott Litton, visit him at mattlitton.com. Terri J. Haynes is a writer and freelance graphic artist. She holds a master’s degree in theological studies and is an adjunct professor at National Bible College and Seminary in Ft. Washington, Maryland. Terri and her husband are the leaders of Joshua Generation, a ministry for young adults ages 18-35. Her book credits include Cup of Comfort for Military Families, and she blogs at terrijhaynes.blogspot.com. She lives in Maryland with her husband and three children.